Can chocolate really taste the same with reduced sugar? In 2017, Public Health England (PHE) proposed that the food and drink industry reduce sugar levels in their products by 20% by 2020 in a bid to tackle the growing concerns of child obesity. Yet, more than a year on, food and drink manufacturers have failed to meet the sugar reduction targets, with only cereal, sweet spreads and yoghurt hitting the 5% suggested mark. Some major confectionery manufacturers are working towards introducing products with reduced sugar content, but it’s not an easy process. There are many factors which have to be taken into consideration including the taste, texture and appearance that sugars provide to products, thus new scientific and technological processes need to be developed in order to reduce sugar levels. Professor Francesco Rubino, chair of metabolic and bariatric surgery at King’s College London, has said in previous discussions regarding sugar reduction that “if you ask the food industry to change their products to reduce calories, you don’t know exactly how they will accomplish that.” Back in March 2018, Nestle announced the launch of their ‘Wowsomes’, a white chocolate bar with 30% less sugar than its usual Milkybar brand. Nestle’s team took just over a year to make the scientific and technological breakthrough of their new structured sugar which was achieved by spraying sugar, milk and water into warm air and drying the mixture. But reducing sugar is not an easy task because sugar is responsible for much of the sweetness and texture in a chocolate bar, says Fatemeh Khadem, senior technical services manager, Cargill Cocoa & Chocolate. Added to this are the increased manufacturing costs when using any sweetener other than cane sugar. Studies are showing that manufacturers are starting to add a functional ingredient like fibre when reducing the sugar content of a chocolate product. Using extra fibre is the case with Mondelez International as they have, this month, revealed details of their own Cadbury Dairy Milk bar with 30% less sugar, coming in 2019. Cadbury first announced their intention of creating a reduced sugar bar 11 years ago, so the whole process does take time, research, money and new technology before any PHE target can truly be put into practice. Mondelez says their team successfully replaced the physical functionality of the sugar in solid chocolate in a way that preserves the structure of chocolate and also stays true to the unique texture and taste profile of Cadbury Dairy Milk. Only time will tell if these reduced sugar versions of our much-loved classic confectionery will satisfy the consumers’ sweet tooth! 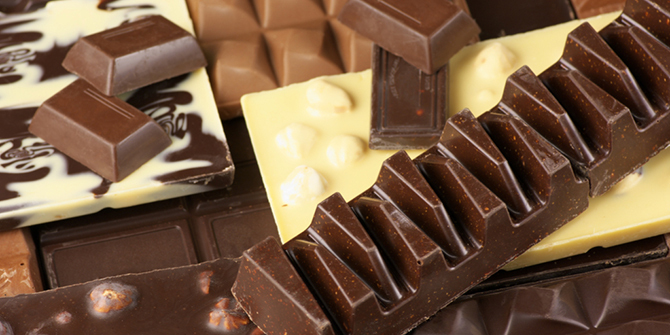 Here at Ragus we supply many of the leading chocolate manufacturers with their pure sugars for taste, texture and appearance; including fine raw sugars which provide colour and flavouring as well as granulated sugars for bulking, sweetness and preserving properties.